Ludurana - Magnifica, a gorgeous light blue holo! I'm back with a holo polish! It's been a long time since I last wore a holo...oops.. 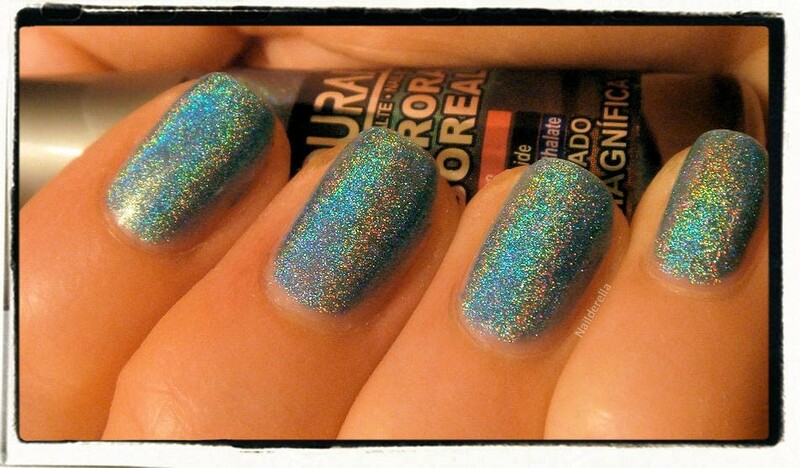 It's another Ludurana polish, the Brazilian brand that sells amazing holo, multichromes and flakies polishes (you can look for Ludurana in my tag list). 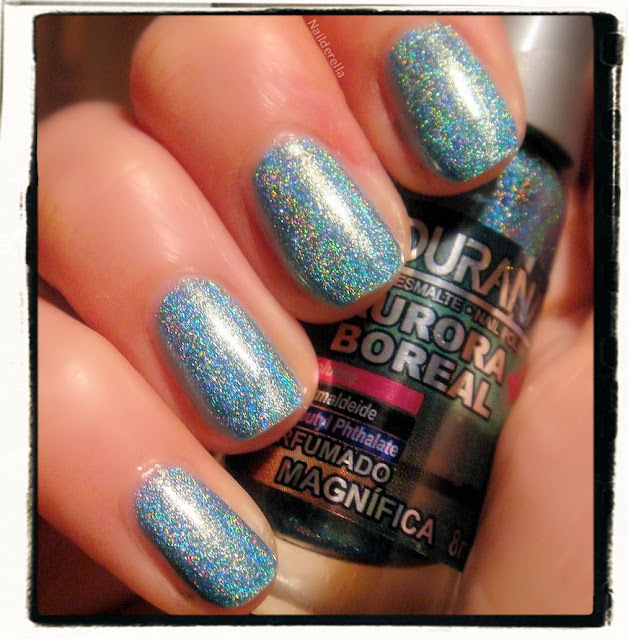 Magnifica is part of the famous Aurora Boreal collection. Ludurana polishes are 3 Free and perfumed. The smell is really light, so don't worry and it doesn't last very long. It's very subtle. All the following pictures were taken under artificial light (no sun). It is decribed as a Robin's egg blue linear holographic nail polish and I can assure you the holo is really strong but unfortunately it was a bit difficult to get it on camera. 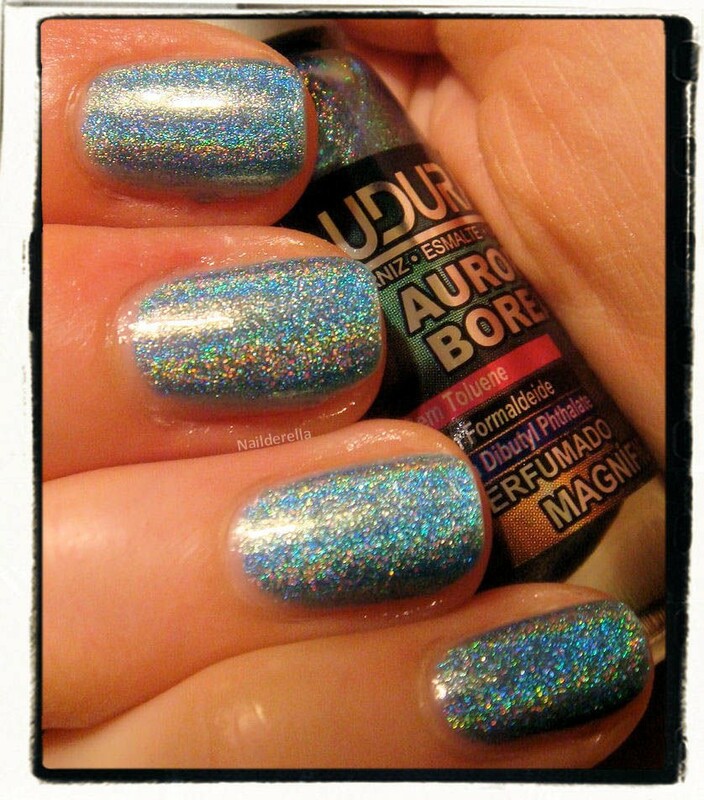 Ludurana polishes can be purchased from Llarowe. Each bottle contain 8 mL. 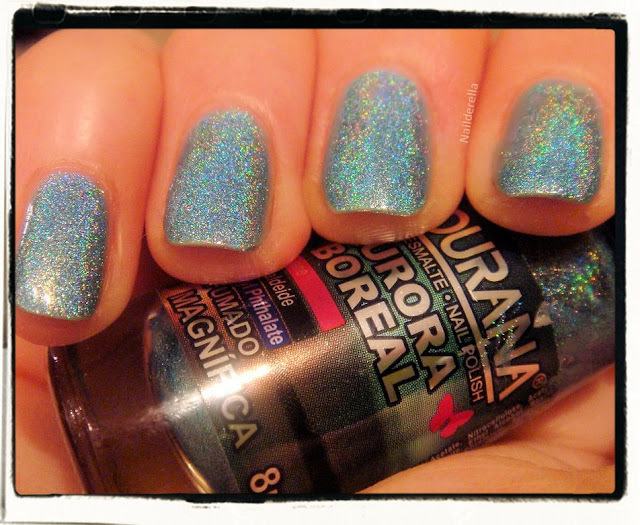 Polishes from "Aurora Boreal" collection cost $14 each. 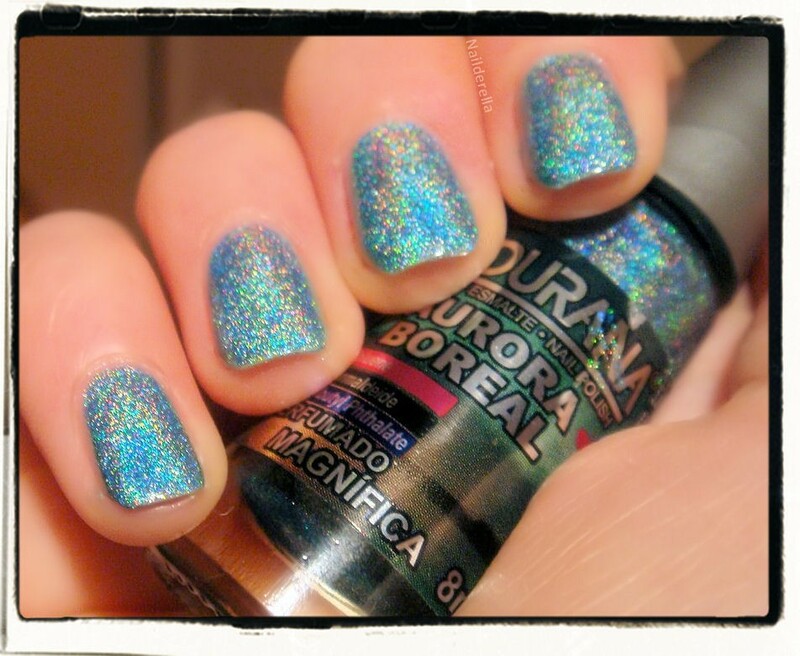 Don't forget, Ludurana has also multichrome and flakies polishes!